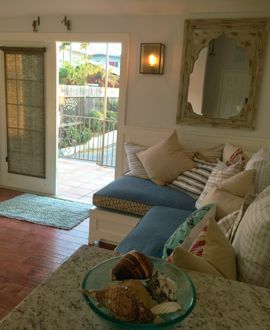 If you live in Encinitas and are considering a granny flat, you are in luck! Encinitas Mayor Catherine Blackespear has made the city’s accessory dwelling unit (ADU) policy her top priority. And thanks to her efforts, it will pay off for residents. In more ways than one! Like all of California, the County of San Diego is dealing with an affordable housing crisis. In communities like Leucadia , Encinitas, Cardiff and Cardiff By The Sea there are only a handful of areas available for higher density developments. A granny flat allows neighborhoods to increase housing while maintaining their small town character and charm. Granny flats offer many benefits. On one hand it may enable seniors to have a caregiver on the property. In other cases, it provides housing for a family member going to college. Or and ADU can allow parents to help their young professional seeking affordable housing as they move up the economic ladder. And for others, it can provide an additional income stream. According to Mayor Blakespear, Encinitas property owners may have a granny flat up to 1200 square feet. It can either be attached or detached but must be smaller than the primary residence. To show its avid support, the City is waiving up to $3,000 in permit and entitlement fees. Additionally, the city is developing a fast track “permit ready” program, whereby they will allow pre-approved plans to be used in order to further streamline the entire installation turnaround time for an ADU. This can reduce architectural and engineering fees. Crest Backyard Homes has a number of standard plans in their product line. Some of our designs are factory-built which will reduce the construction timeline, minimize waste reduce pilferage and drastically cut down on the amount of daily traffic associated with traditional site built construction. One important thing to remember is that granny flats are intended to mitigate our affordable housing shortage. They are not intended to cater to the tourist industry. Therefore they must be rented for a minimum 30 days. 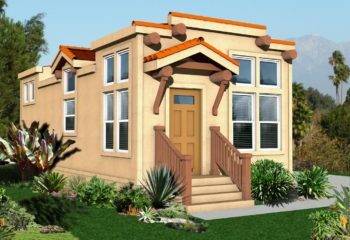 NOTE: If you live in a Subdivision or HOA with CC&R’s make sure to find out if they allow granny flats. Because they are considered a private enterprise, they fall out of the purview of the HCD mandate. Thus, they are not required to conform to the new State laws.